Broken Eye Books, 9781940372259, 460pp. Space madness Fly away with us to the deeps of space for action and adventure, alien intrigue and bloody surprises. Join us out here where all things alien and weird flow freely. Dive headlong into spaceships and monsters, tentacles and insanity, determined struggle and starborne terror. Whether sprawling across civilizations or tightly focused and personal, these tales paint a psychedelic vision of strange proportions and wondrous possibility. 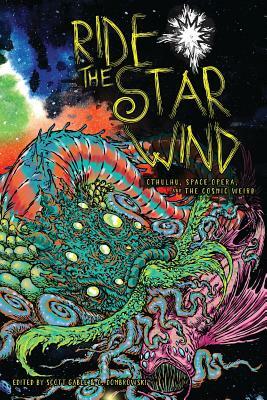 This anthology contains 29 short stories of space opera blended with cosmic weird horror by a diverse array of all-star authors . . .
You'll meet soldiers and scientists, starship captains and intrepid explorers, each with secrets to hide and a story to tell. And then there's the aliens. So many aliens. Some friendly, some monstrous, but all of them exciting. Engines full. Course set. We're going in.